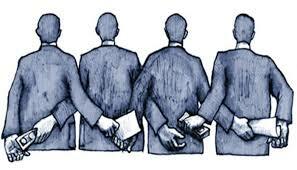 Corruption is fast gaining recognition as being a core factor of the worst problems the world faces today. Sarah Chayes has produced an excellent paper “The structure of Corruption A Systemic Analysis Using Eurasian Cases” (which can be accessed by clicking here ) which provides an “examination of the specifics of corrupt operations in the individual country of interest and its physical and electronic neighbourhoods”. In our opinion this paper is a must read for anyone who has a serious interest in the cause and effect of corruption.